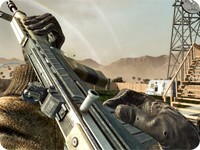 ENFIELD - Call of Duty: Black Ops Guide! The Enfield is available for purchase at Level 5. It has moderate damage, moderate rate of fire, and moderate recoil. Unlike all other assault rifles in the game, the Enfield enters ADS in a fifth of a second (the same as SMGs), as opposed to a quarter of a second like all other assault rifles. 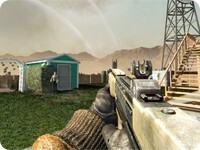 It utilizes a semi-uniqueACOG Scope, the SUSAT. The Infrared scope does not affect the recoil at all, so it can be used for a better zoom without any loss except image definition. Because of its quicker ADS time and very early unlock, the Enfield makes an excellent choice for players who have not yet unlocked the Pro version of Sleight of Hand and those who have just prestiged. It is also a good choice for players wanting to use a tier 2 perk other than Sleight of Hand Pro, while still retaining good ADS speed. 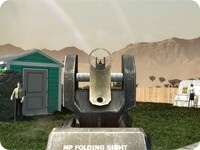 The ACOG Scope, or SUSAT, attachment allows the player to take advantage of the Enfield's low recoil, and permits effective engagement of enemies from ranges at which others may find difficulty fighting.